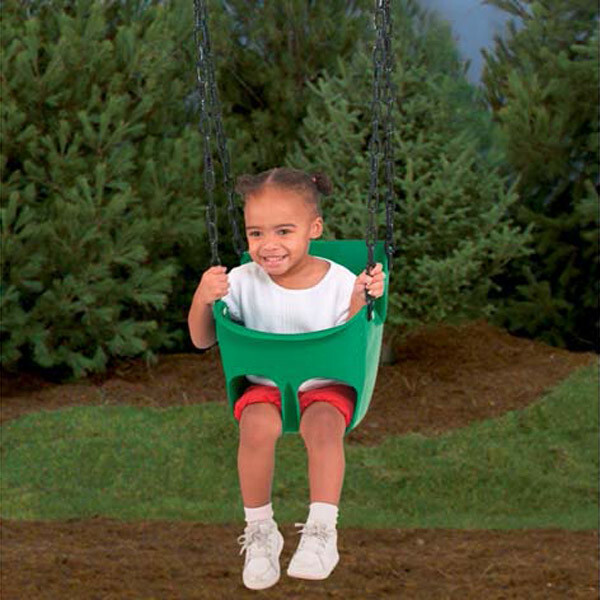 A great addition to your PlayStar playset, especially if you have little ones, the Commercial Grade Toddler Swing is designed with safety in mind. The high-backed seat holds kids snugly inside while the lap belt assures they don't slip out. 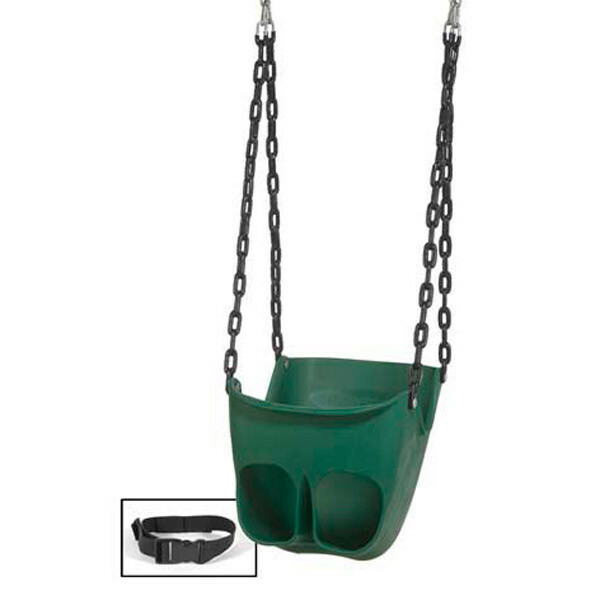 With soft rubber coating, the welded-link chains keep little fingers from getting pinched. Everything you need for hanging is included unless you need swing hangers which are sold separately. This swing holds up to 155 lbs. Weight rating – 155 lbs.